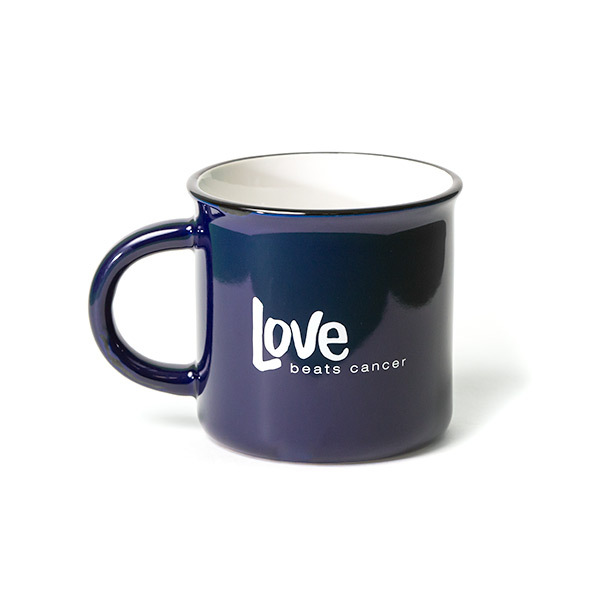 A solid and sturdy mug with a glossy cobalt and distressed matte finish. 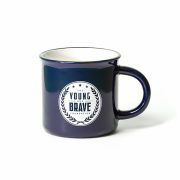 Features the Young & Brave and Love Beats Cancer logo. 15 oz stoneware.